We are located 1 mile from downtown Saint Charles and just minutes away from shopping, golf, museums, and several restaurants. Guests staying at the Days Inn will enjoy relaxing in the Indoor Pool, Fitness Center, Wireless Internet Access, Meeting Room &amp Guest Laundry facilities. 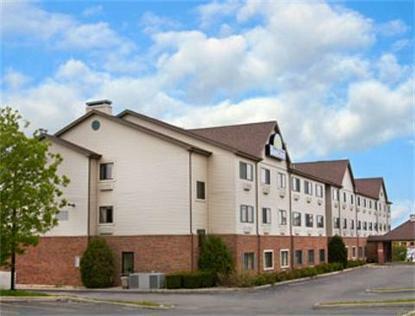 There is a Restaurant Adjacent to the property or you can travel a mile to find the chain restaurants: Olive Garden, Red Lobster, On the Border and many more All rooms have In-Room Coffee Maker, Iron &amp Ironing Board, Hair dryer, Wireless Internet Access, clock radios &amp cable TV. Micro/Fridge available in some rooms. We accept pets with a $10 fee. We are located 37 miles from downtown Chicago and 33 miles from O'hare International Airport. The Midway Airport is 45 miles away.